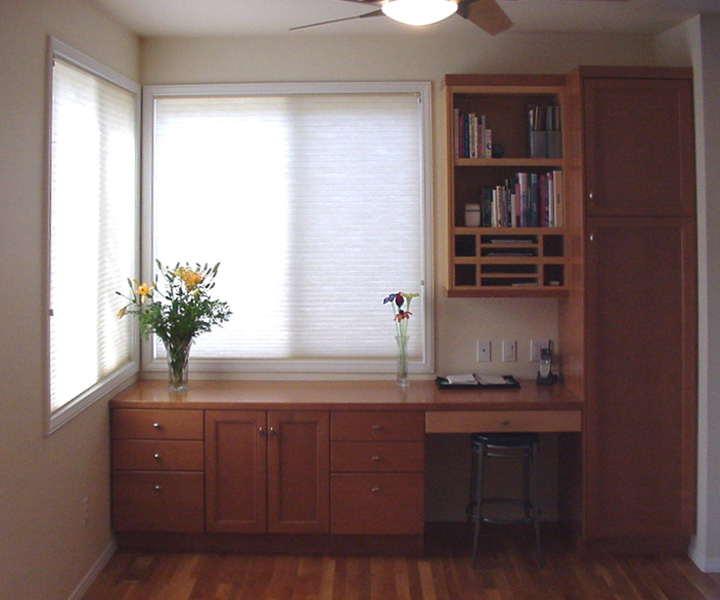 This area is used for the normal daily eating area. The one wall is used for desk area, plus extra storage for stuff you use at the desk. This is a very good storage space for the kids toys and school material. 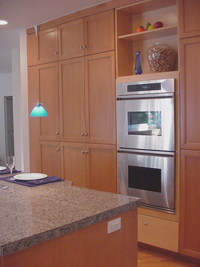 Pantry and double wall ovens. 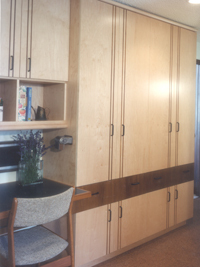 Hutch-like cabinetry to match the client's Scandinavian teak furnitures. 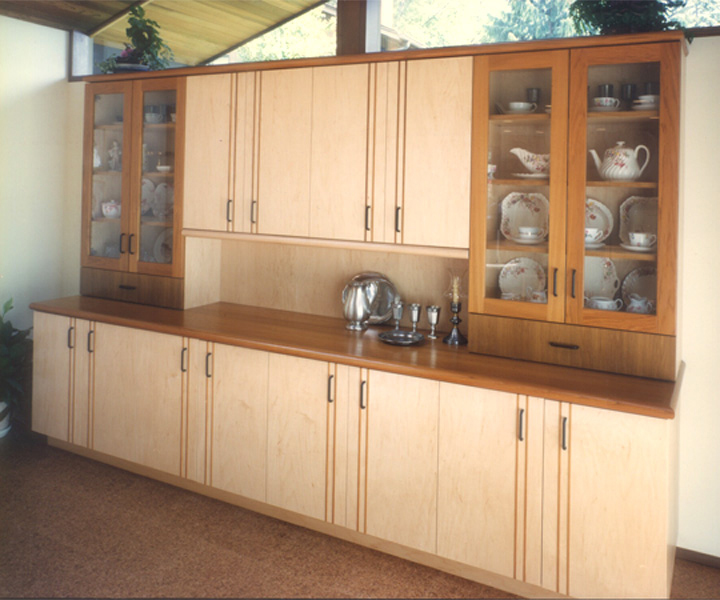 The cabinet style was designed by us and made by a custom cabinet shop. Wood is teak and maple. 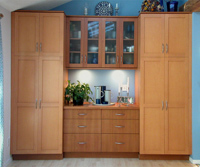 Pantry storage. 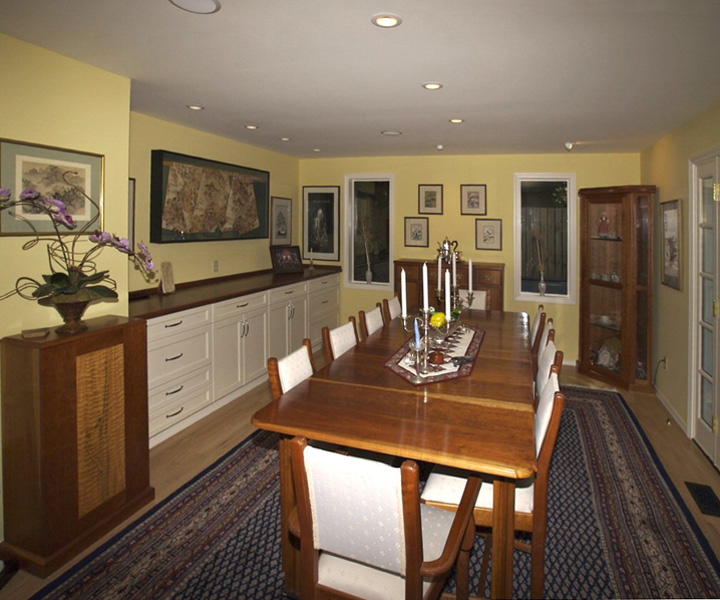 This hutch-like tall cabinetry is build in the dining room. 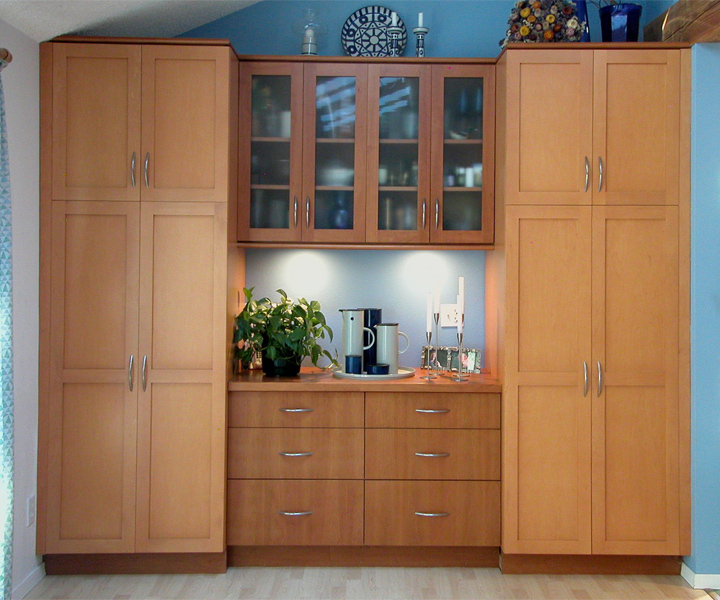 It gives you a lot of storage space for linens, brooms, vacuum, cleaning stuff, glass ware and wine storage etc. 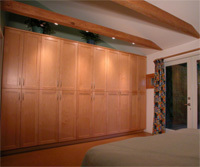 Decorative to look at especially with glass doors in the wall cabinets. 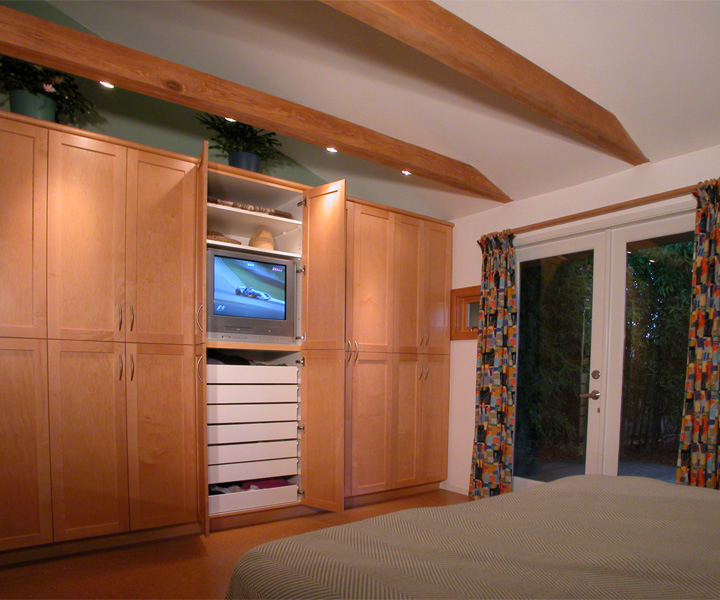 Instead of building a closet with sliding doors, use the space more efficiently by using cabinetry. It uses the space better and it is beautiful to look at. 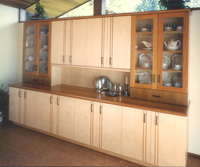 This is a maple cabinet with a shaker door design. 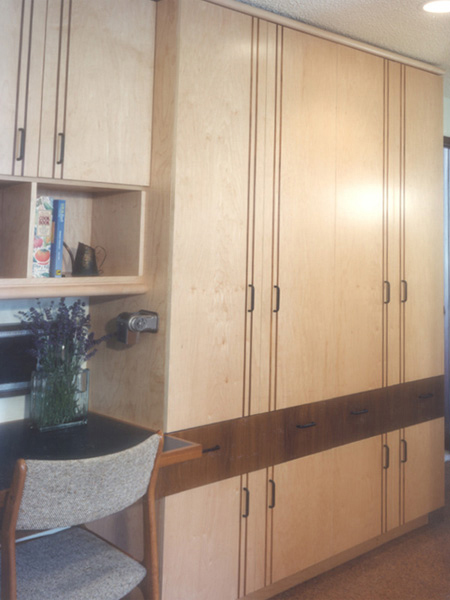 You can do all different configurations for the inside of the Cabinets. 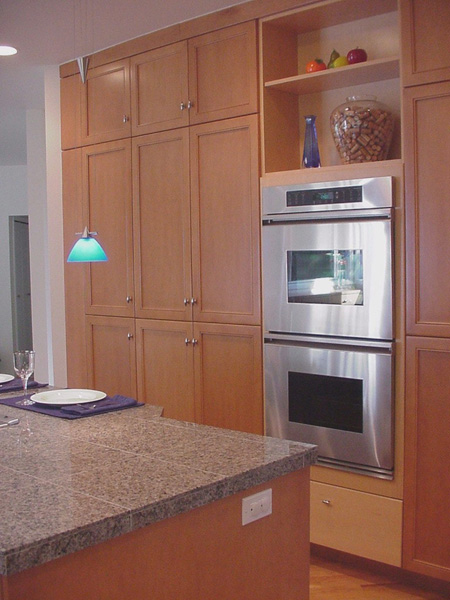 These are normal 24" deep cabinets, but could have been an upgrade and made 30" deep. 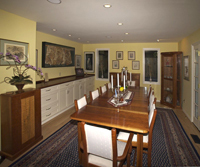 Cabintry for storage in dining room, which creates a perfect counter for Buffet style dining parties.